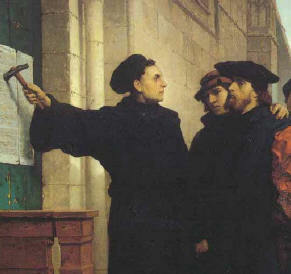 Happy Reformation Day to one and all! This significant, yet overlooked holiday celebrates the historical relevance of the posting of a long list of grievances against the Roman Catholic Church by the Augustinian monk Martin Luther on October 31st, 1517 in the German town of Wittenberg. Luther’s consternation centered around the repugnant practice of selling indulgences to the poor and naive populace in order to fund the construction of the lavish St. Peter’s Basilica in Rome. Two great theological issues Luther brought to light were the lost biblical doctrines of justification by faith alone and the authority of Scripture. They are historically referred to as the doctrines of Sola Fide and Sola Scriptura. 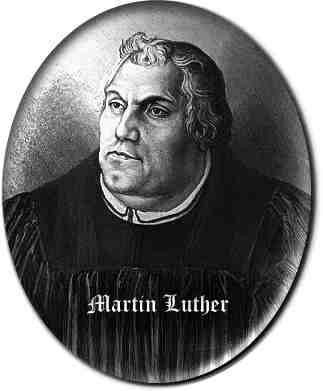 Luther, after much wrestling with the scriptures, discovered that man is justified by God’s grace through faith alone. No human work of any sort contributed to his status before God. Faith in the work of Christ already done on man’s behalf is the means by which he is declared not guilty before a just and holy God. This doctrine is based upon the belief that the scriptures are sufficient unto all life and godliness for the believer. No pope or councils of Bishops and religious leaders can add or subtract one jot or tittle from the God-breathed scriptures. Upon this foundation Martin Luther made his stand. Will we stand with him? God help us if we don’t! On this occasion, the Day of the Reformed, let all of us who fall under the label of ‘Protestant’ rejoice that we have been delivered from the iron bonds of Romish traditions and damnable heresies. Thank God that he used a frail and thoroughly flawed man like Martin Luther to unveil once again his amazing grace to sinners everywhere through his son, Jesus Christ.